You’ve perfected the resume, sent out the application, received a response, and perhaps even passed the initial phone discussion. Now it’s time to ace the in-person interview. Fun fact: this is usually where people screw up. Even the best resume can’t make up for sub-par interviewing skills. Confidence, communication, and ability to articulate your value all makeup interview performance and are key to moving toward the job offer. Preparation is the key to your success. One major mistake candidates make is taking too modest an approach – in the resume, and especially the interview process. 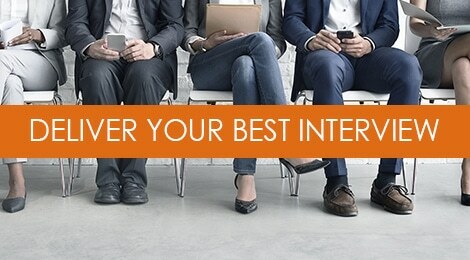 The interview is a time to highlight and articulate your career successes and make a compelling argument as to why you are the best fit for the role. Unfortunately, this type of talk does not come naturally to some, and as a result, they shy away from speaking favorably about themselves out of fear of sounding boastful or self-absorbed. The end result is losing out to a competing candidate with more confidence, poise, and practice in the interview process. Practice “bragging” in a professional manner by focusing on the key skills and experience that you bring to the table, and how that has been of value to employers in the past. The more comfortable you become speaking about yourself in a marketing context, the easier it will be to answer any type of interview question that comes your way. Few things can throw off a candidate’s confidence in an interview than a question that begins, “Tell me about a time when…”. While it’s hard to know for sure what the interviewer will ask, preparing a few common “anecdotes” around your professional successes to pull from will ensure you’re prepared to tell the right story. For example, think about a time that you stepped up to a challenge, recovered from a mistake, turned around a struggling client relationship, managed up, or bridged a critical skill gap. These are all common scenarios likely to come up in the interview. Then practice reciting these stories until you’re confident recounting them in a way that paints your skills and experience in a positive light. Practicing your script will also avoid the awkwardness of not knowing how – or when – to end your story; a common mistake unprepared job seekers make. In other words, what challenge within the organization does the position seek to resolve, and how can your skills, experience, and qualifications ensure your own success in that role? A company looking to break into a new market needs a dedicated salesperson who understands that target audience, and perhaps brings an established network of connections. Without that expertise, revenue may stagnate and growth will be slow. How can you position yourself as the catalyst for driving new business? Similarly, a small company experiencing rapid growth needs a strong operations manager to come in and streamline processes and procedures. Without that expertise, the company will continue to be disorganized, making it near impossible to scale effectively. If you want to position yourself for success in the interview, preparation is key – and it applies across the board, whether it’s your physical appearance, providing intelligent and thoughtful responses and questions, respecting the interviewer’s time, or following up appropriately. An employer’s goal is to hire someone who is invested in the success of the position and the company, and preparing diligently for your interview will ensure you deliver an impressive performance. Tags: career change, interviewing. Bookmark the permalink.